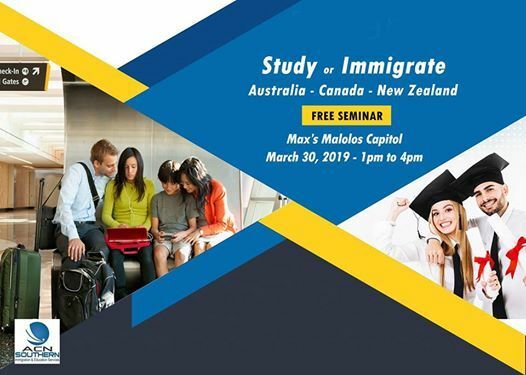 Study or Immigrate to Australia Canada, New Zealand, and Ireland. 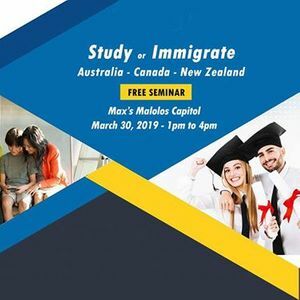 Join us for a FREE Seminar and 1on1 Consultation after, on March 30, 2019(1:00pm-4:00 pm) at Max's Restaurant Malolos Capitol, Malolos, Bulacan. 2. 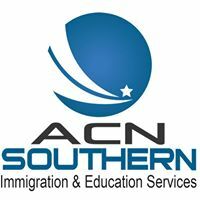 SEND your resume to QUNOU09VVEhFUk41MCB8IEdNQUlMICEgQ09N. Subject "ATTEND SEMINAR"
3. TEXT Attend Name Profession (ex. Attend Juan Dela Cruz Engineer) and send to 0917 855 8263 / 0949 370 7065.